This research guide will point you toward online research resources and strategies available to you as scholars doing literary research at UCLA. You will also find help locating analog resources (e.g. print, microfilm, audiovisual) in our library catalogs. Visit this guide regularly to check for upcoming library workshops and events, as well as newly acquired resources to help you in your research process. If your area of research is comparative or focused on non-English literatures, consider also contacting the appropriate area studies guide or subject specialist. Does not include other campus collections outside the official library system. See next link for locations and hours of other collections at UCLA. These are collections located within departments and research units outside of the official UCLA Library system. Website of the Department of English at UCLA. Website of the Department of Comparative Literature of UCLA. These online sources are good places to start your literature-related research. For quick reference, hold your mouse over a link for a brief description of the resource. Full text of core scholarly journals from their beginning to approximately five years ago. Disciplines include botany, business, ecology, general science, humanities, mathematics, social sciences, statistics. Browsable by discipline and full-text searchable across all disciplines. 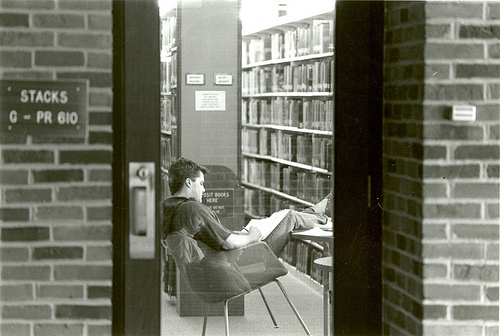 Remember those huge multi-volume literature criticism sets in the Reference Reading Room? You can search them full-text online here. Biographies, bibliographies, and critical analysis of authors from every age and literary discipline. Covers more than 120,000 novelists, poets, essayists, journalists, and other writers. Combines the core Gale Group literary databases: Contemporary Authors, Contemporary Literary Criticism, and Dictionary of Literary Biography. Complements Literature Criticism Online. The main database for literature scholarship. Indexes worldwide publications on topics including literature, language, linguistics and folklore from 1923 to the present. For a general introduction to academic citation and intellectual property, see Citing Sources. Everything you need to know about citing sources and avoiding plagiarism in the course of your research.